When you’re shopping for a new home, there’s a good chance you’ve got a long list of considerations that you will factor into your decision-making process: size, neighborhood, condition, etc. But have you ever considered a home’s street name to be a factor when you’re deciding whether or not you want to buy? It might surprise you, but for many home buyers the name of a house’s street can determine whether that house is desirable – or not – making addresses not just random labels for a property, but influential factors that could make or break a sale. 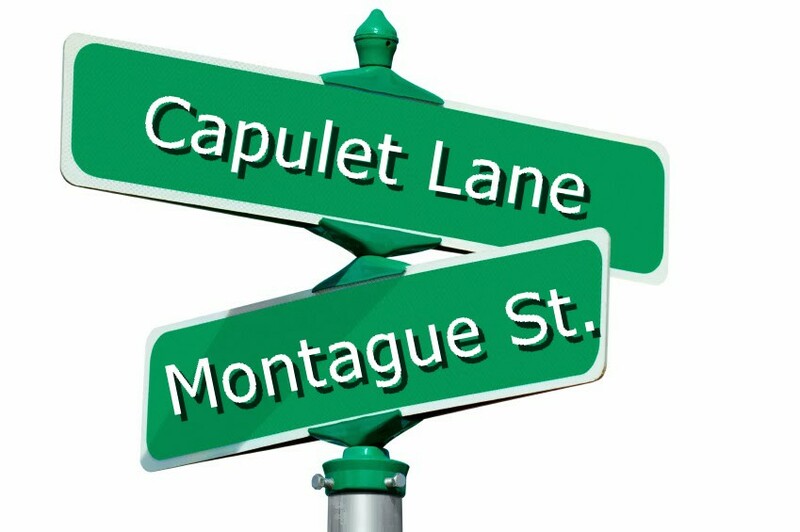 Street names can seem random or arbitrary – and often, they are, since the street naming process is not an exact science. In the earliest days of North America, streets were named after nearby natural landmarks or monuments. Later, when urban planning was taken over by real estate developers, street names were chosen by those developers in order to create a specific connotation or personality for the neighborhood, or in order to honor a person or place (of their choosing). Today, streets are named in a myriad of ways, with little control over whether that name will add value to a property or not. There are several different aspects of street names, including the street suffix (street, road, avenue, boulevard) and the specific name of the street. Each aspect can have a different effect on the value of a home. On their real estate blog, Trulia published a study examining how the suffix of a street address affected the value of a house. What they found was telling. Homes on streets that sounded “fancier” or more “upscale” actually sold for higher prices; the most expensive homes were located on “Boulevards” and “Places,” while the more affordable homes were found on the more commonplace “Drives” and “Streets.” The data analyzed by Trulia showed that a street name’s suffix helps shape the connotation of the street, and thus unquestionably influences how much a buyer is willing to pay to live there. • Houses are more desirable when they are located on streets that are named, not numbered (i.e., Center Street vs. 4th Street). • Houses on streets with less common names (Bergen St.) are more sought after than those on streets with very common names. (Main St). Further, many real estate experts agreed that homes on streets with names that have a “stigma” associated (e.g., Columbine Street, Misery Lane) often turn buyers off. To test his theory about stigmatized streets, one real estate agent based in Austin, Texas, studied the sales prices of homes on streets with “politically incorrect” names like Shoot Out, Six Gun, Gun Fight, Ammunition and Shotgun — versus the prices of homes on non-stigmatized streets – all within the same subdivision. What he found was that homes on streets with stigmatized names sold for about $5 less per square foot – an indication that people really do value the name of a street when deciding where to move. Ultimately, when looking for a new home, there is little one can do to control the name of the street you’ll end up on. But real estate developers and urban planners could benefit from realizing that a street name has real value – and taking that into consideration when naming roads and thoroughfares could pay off. The post What’s In a Name? appeared first on Team Realty.